UX consultant Gareth Dunlop outlines two important principles that challenge the traditional view of a customer touchpoint. Marketers have long understood the importance of customer touchpoints in the sales decision-making cycle. Fast-moving consumer goods (FMCG) and brand marketers in particular are aware that brand recognition and availability align closely with trust and confidence, which in turns align with purchase intent. Marketers are therefore well used to the significance of making sure their brands and products are in front of their customers as they move through the sales funnel of awareness, consideration, decision-making, conversion and advocacy. Particularly as they get closer to the buying decision, potential customers are much more interested in outcomes (that is, their touchpoints have purpose and a desired goal) than in purely being informed of the existence or availability of a brand or product. Touchpoints need to join up into easy-to-understand journeys, because potential customers regularly need to self-serve their way through much of the sales funnel, and thus need guidance about what to do next as they become increasingly interested in a purchase. These two important principles challenge the traditional view of a touchpoint as representing merely exposure to a brand or product message and remind us that in a world where users have overwhelming levels of selection and choice, there needs to be something in it for them. I hope that some examples help to illustrate how marketers and service designers can get this right. We recently carried out some work with an energy provider to help explore how their call centre, service engineers, website and other digital communications (for example, text messages and email) could help customers who had bought their product get it installed. 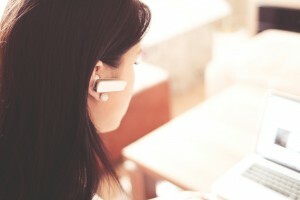 One of the key findings was that it was possible for a customer to experience a number of broadly positive touchpoints (for example, the call centre operative was polite, friendly and informative; the service engineer was punctual, efficient and no-fuss) but yet have an overall poor experience, because the touchpoints weren’t well enough joined together. Subsequently, the customer felt that they were the ones doing all of the work in order to get access to the energy source. The solution become clear: make it much clearer to the customer how long the overall project (journey) might take, the key phases along the way, and what would happen and in what order. In short, the well-performing touchpoints were better joined together into a more coherent customer journey. This highlights the importance of stepping back and identifying the various journeys customers take from their perspective and how they expect to navigate between them. Another example comes from a piece of work we delivered for a third-level education institution some years ago. They were interested to know what role the various elements of university life played in a potential student’s decision-making process to attend that university. They were unsure if students were motivated by nightlife, life experience, getting a good course fit, quality of lecturers, employability and so on. Through a programme of research, the key theme that emerged was that the potential student’s first requirement was to feel comfortable that the course they signed up to was a good fit for their interests. Once they were confident that was the case, they became interested in quality of lecturers and employability. At that stage, their attentions turned to extracurricular life, sports clubs, nightlife and the experiential side of university life. This insight was vital in ensuring that the potential student enjoyed positive touchpoints, i.e. that they left each website experience with the information they needed to achieve their outcome. There was no point talking about employability until the user had explored and compared courses in detail; there was no point talking about nightlife until the user understood fully who was going to lecture them and why they were an authority. In short, by considering what the potential student needed across the consideration phases, and as their content needs matured and became more detailed, the university was able to deliver both touchpoints and outcomes to students as they considered enrolling. The principle at play represents the power of anticipating the customer’s needs, expectations and desires during each part of the journey, by investing in the research required to know them well enough. Touchpoints originated in the era of presentational communications when the organisation did the talking through billboards, TV, radio, press and direct mail – the customer was a passive absorber. That passive customer is now active, and presentational communications have been replaced by interactive communications. Put your customer in control by giving them exactly what they are looking for throughout the sales cycle and join up the individual experiences to give their experience forward momentum. They will thank you the best way they can: by buying what you’re selling.